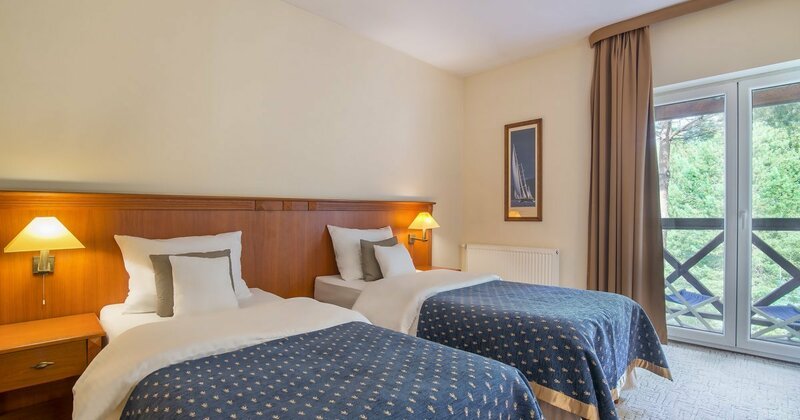 The hotel offers 65 rooms, the majority of which are double rooms with the possibility of adding an extra bed - a perfect solution for families with children. Some have balconies where you can relax and enjoy the soothing view of the lake or the park surrounding the hotel. We also have rooms adapted to the needs of the disabled. On request, the hotel offers laundry and ironing service. It is also possible to order ironing set to the room. For guests expecting a unique standard, we offer apartments in which - in addition to all the amenities available in other types of rooms - there is much more space, as well as a Nespresso capsule coffeemaker. It allows guests to enjoy their morning coffee on the terrace, admire the picturesque view and listen to the singing of the birds.